Google's latest Android Marshmallow (Android 6.0) mobile operating system for smartphone and tablet devices has been publicly released to general public users with various newest applications, features, functions and changes. Android 6.0 Marshmallow Update for Nexus 5, Nexus 6, Nexus 7, Nexus 9, Nexus 6P, Nexus 5X and Nexus Player has been officially available for manual installation, but if you're Windows 32-bit (x86) or Windows 64-bit (x64), Mac OS X and Linux desktop operating system users, and wants to explore and experience the all new Android Marshmallow, then you can follow our full working method and tutorial on How to Setup, Install and Run Android Marshmallow on Windows, Mac OS X and Linux Using Android Marshmallow SDK Emulator. All you need is to download the latest Android platform tools and setup virtual image of Android Marshmallow on computers and laptops. So let's start and follow our step-by-step guide below. 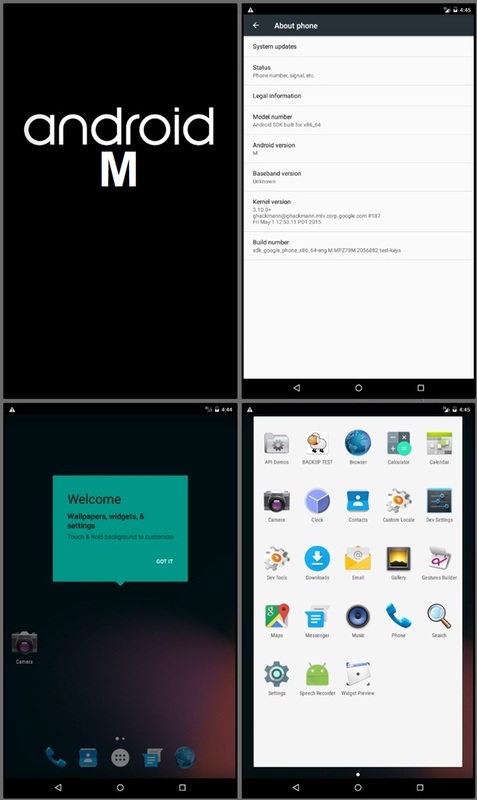 How to Install Android Marshmallow SDK Emulator? Step 1: Download Android Marshmallow SDK via Direct Links provided above. Step 2: Install Android Marshmallow SDK, and Run "SDK Manager" application from installed folder. Step 3: Wait for few minutes, until all Android SDK packages loaded and fetch successfully. Step 4: Select your desired packages for installation. You should select "Android Marshmallow (API 22)" and "Android SDK platform-tools" (under tools). (For only Android Emulator, just select "ARM EABI v7a System Image" and "SDK Platform" for package installation, and leave rest options). Step 5: Now, Press "Install Packages" button. When any Packages & License message prompt, Click "Install", and wait few minutes for packages installation. You're done. How to Setup Android Marshmallow Emulator? Step 1: After installation of all required packages, navigate to Android Marshmallow SDK installed folder to run "AVD Manager" application, and Click on "Create" button. Step 2: For "Max VM application heap", use default values. For different devices displays, choose from dropdown menu of "Device:". Step 3: Press "Start" button, after selecting the virtual device, you just created. Step 4: Now, under Launch Options, Click on "Launch" button, without any modification of values. Step 5: Your Android Marshmallow Emulator will start after completion of few Command Prompt windows. Android Marshmallow device display screen will boot up, after about five minutes or so. A message saying "Emulator has been successfully installed" will be prompted with Android Marshmallow welcome screen. Congratulations!! You're done.